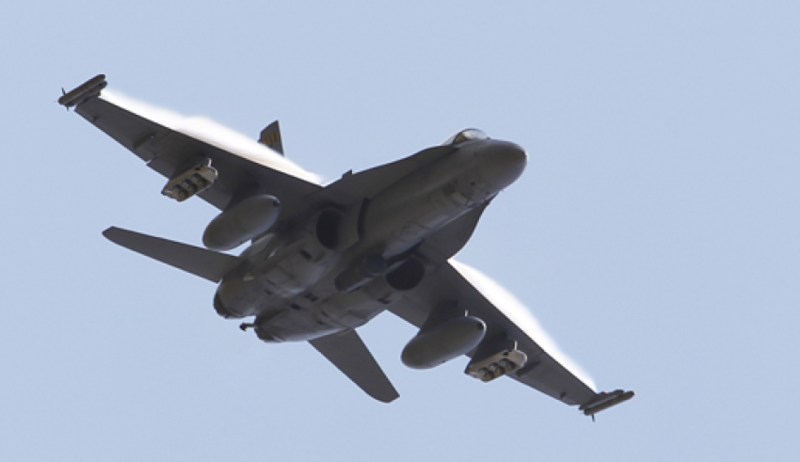 The Royal Australian Air Force has deployed more than 370 personnel and eight aircraft to participate in the world’s most complex air warfare training at Exercise Red Flag 19-1 at Nellis AFB in the US. The RAAF deployed up to six class, F-18A Hornets from Number 77 Squadron, one E-7A Wedgetail Airborne Early Warning and Control (AEWC) aircraft from Number 2 Squadron and one AP-3C electronic warfare specialised Orion aircraft from Number 10 Squadron to participate in the exercise. Air Commander Australia, Air Vice-Marshal Steve Roberton said there were a number of benefits for Australia to participate in the exercise. “Air Force personnel will deploy to support the aircraft, operate an Australian Task Group Headquarters, augment the Combined Air Operations Centre with our coalition partners, provide cyber capabilities, and establish a Control and Reporting Centre,” AVM Roberton explained. The Exercise Red Flag series is hosted by the USAF 414th Combat Training Squadron and is held several times a year with a number of domestic and international participants. Aircraft and personnel deploy to Nellis for Red Flag under the Air Expeditionary Force concept and make up the exercise’s “Blue” forces. By working together, these Blue forces are able to utilise their diverse capabilities to execute specific missions, such as air interdiction, combat search and rescue, close air support, dynamic targeting and defensive counter air. “Royal Australian Air Force will train with the United States Air Force, United States Navy and the Royal Air Force in a complex reconstruction of a modern battlespace,” AVM Roberton said. These forces use various tactics to attack NTTR targets such as mock airfields, vehicle convoys, tanks, parked aircraft, bunkered defensive positions and missile sites. Targets are defended by a variety of simulated “Red” force ground and air threats to give participant aircrews the most realistic combat training possible. Exercise Red Flag was established in 1975 as the brainchild of Colonel Richard “Moody” Suter and one of the initiatives directed by General Robert J. Dixon, then commander of Tactical Air Command, to better prepare our forces for combat. Australia has been a regular participant in the Red Flag exercise since 1980. Lessons from Vietnam showed that if a pilot survived his first 10 combat missions, his probability of survival for remaining missions increased substantially, Red Flag was designed to expose each “Blue 4” pilot to his first 10 “combat missions” at Nellis AFB, allowing him to be more confident and effective in actual combat. This same principle continues to guide Red Flag today, with the goal of preparing Air Force, Joint, and Coalition pilots, aircrew and operators to fight against a peer-level adversary in any combat environment.